I find the little Tecsun hard to replace. Unless you want SSB and Airband this is a great fun radio along woth the help of cheap external wire antennas. On a good night and a few meters of wire I can explore the worlds opinions music Free. Long live Shortwave!. Special design of SSB demodulation functions, can receive amateur maritime communications and personal radio. I found that if you TURN OFF PL-310ET dial lamp, the battery would last so longer ! How can I tune in 520-1710 kHz (MW) ? I can only tune in between 522-1620 kHz. LW was initially OFF, then I make it ON according to their mini user’s guide as well as setup FM frequency range from 64-108 mHz. Tecsun is listening to us. Look at the “0” key beep on/off. Now you don’t have to take the radio apart and with a wire cutters clip off one of the wires to the piezo tweeter to silence it. I have done this too so many radios I have. 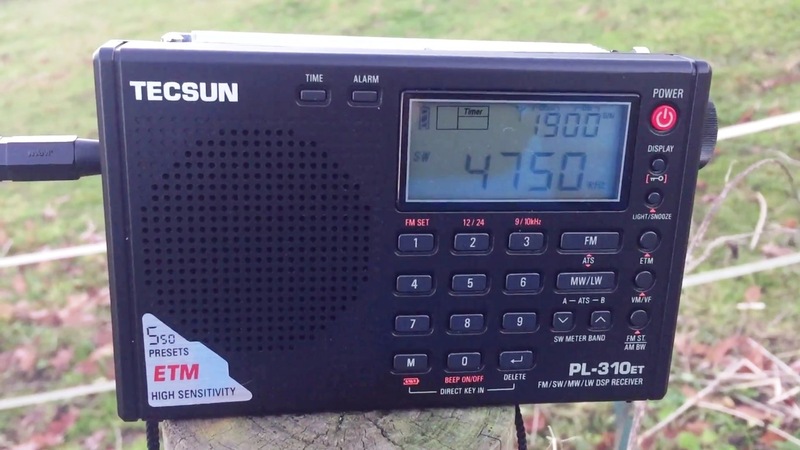 Very good testing of the PL-310ET. I wonder how it works in a crowded city. I have a PL-380, a very sensitive, selective receiver but subject to local QRM such as tvi, computers, etc. I also noticed something that also happens with other Tecsun DSP receivers: you moved up 1KHz to avoid strong interference from an adjacent station while tuning Radio Guinea on 9650KHz and the audio dropped down drastically. The same happens with my PL-505. I guess the best method is to narrow the band, which by the way improve DSP performance. While tuning Radio Publique Afrcaine on 11550Khz, I notice DSP engaging and disengaging due to fading. It happens when the signal drops under and than goes up the threshold of DSP. DSP can help a lot making the audio clear and improve its quality, but it is also a problem under QSB or when you want to atennuate RF gain so that AVC stabilizes audio. Thanks for your review. I’m thinking of buying this little wonder, although I still have to use more my PL-505 to determine how different they are, because so far their performances seem very similar to me. I loved the barbed wire fence idea. Last summer I set out in search of “found” shortwave antennas. 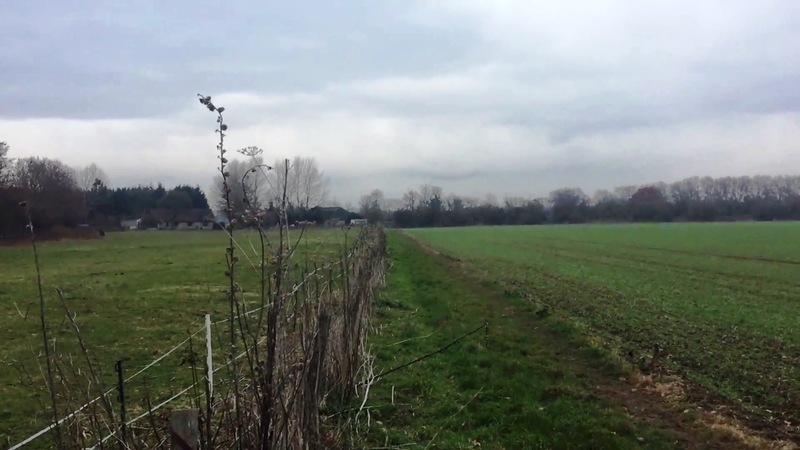 The first thing I looked for was a long stretch of barbed wire fence. Unfortunately , ranchers in Northern California gave up on wooden post fences some seventy years iago in favor of steel T-posts for barbed wire. The wires on these fences are effectively grounded and make poor antennas. Steel wire does not conduct electricity as well as copper. I could not find a surviving fence of useful length without T-posts. I had some luck in finding a long stretch of abandoned telegraph or signal wire running alongside an active rail line. I found an ungrounded section over 7000 feet in length (2,100 meters)! This wire was rusting zinc coated steel so I needed to sand a couple of inches before making a connection to the radio. Alas, lossy steel wire and and dead grounds on both ends of this found anttenna provided mediocre performance . That 2100 meter antenna didn’t work as well as my 100 foot backyard random wire. I may return to the telegraph line antenna for another try, but technically that would be trespassing on railroad property. I can see some astonished engineer calling the local cops on me. I used my car for an antenna by parking it on 4 sheets of lexan. A transmatch is needed to match the highly capacitive load. It does not work any better than a 20 foot length of wire. I use a similar antenna connector for my radios. It is several feet of stranded copper wire with a soldered 1/8″ plug on one end and a clip on the other. The clip looks like a miniature version of the clips used for automotive jumper cables. These have a stonger bite than alligator clips. I often pack this connector along with a radio and spool-up antenna while traveling. whhaaaaaghhhhhhhhhh my pl-380 is no longer brilliant!